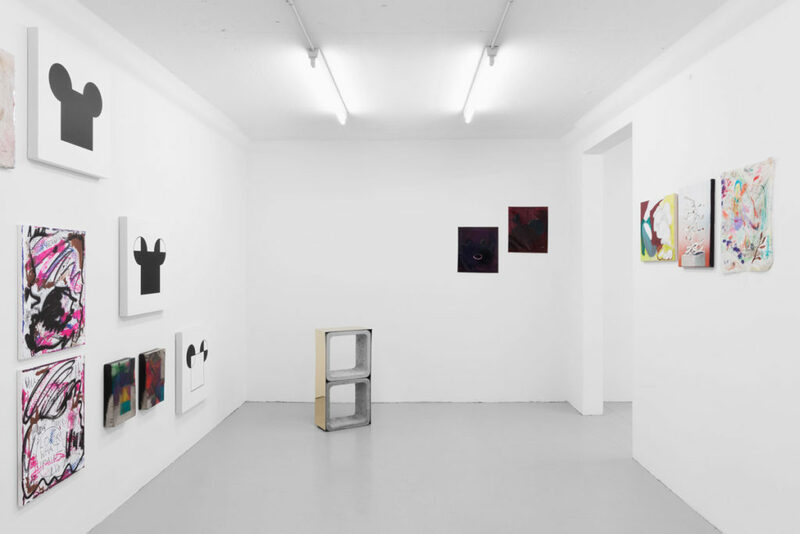 Associations New— a group show of paintings in the adjacent gallery of where L’Âge d’Or was presented—SALTS, Birsfelden-CH, October 5 to December 8, 2015. 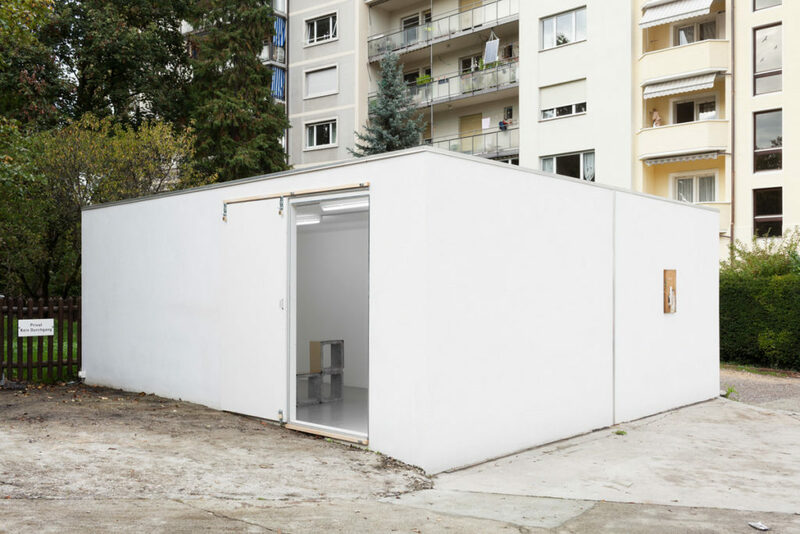 Curated by Elise Lammer and Samuel Leuenberger. 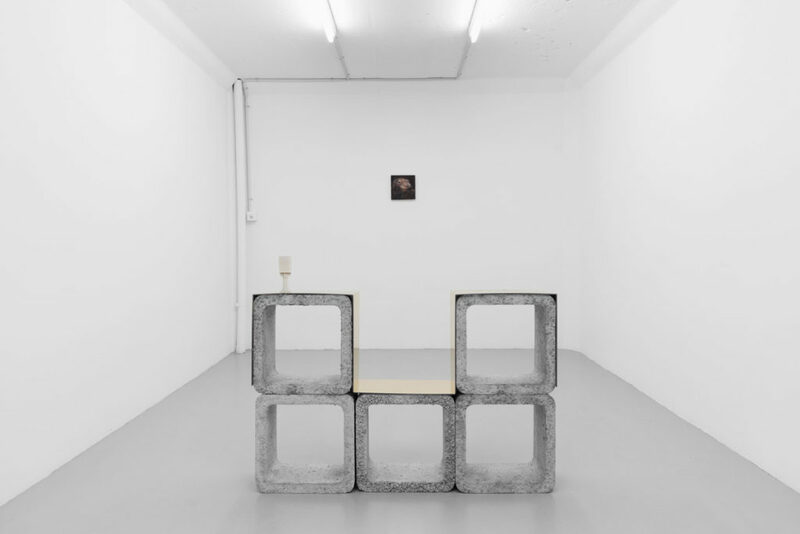 Within the tale of her eccentric Hollywood diva/bigwig, Beaudemont designed two chairs for the garage cubicles. The spectator is invited to sit and contemplate what could be the fictional character’s painting collection. 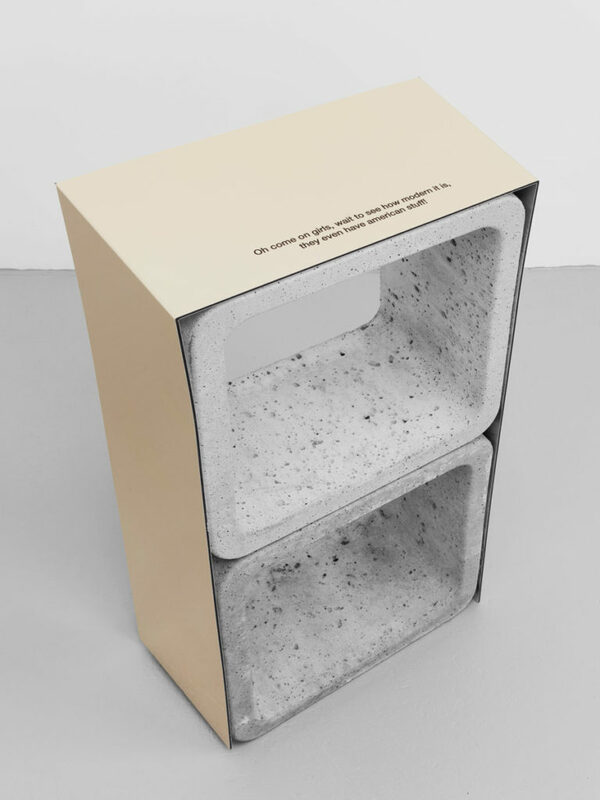 The pieces of furniture are designed in response to quotations taken from Ayn Rand’s book The Fountainhead, which tells the story of a young modernist architect driven only by his true vision of anti-conformist architecture, and from Playtime, Jacques Tati’s epic 1967 tale of progress and technology. 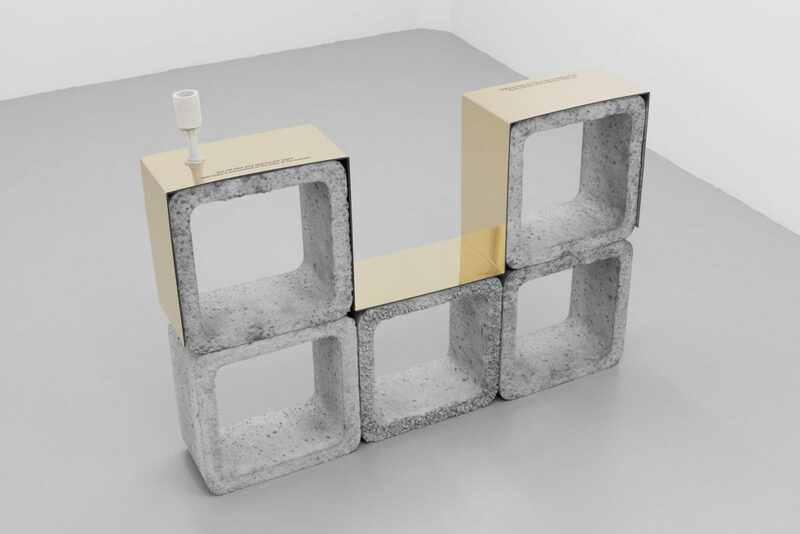 Armchair and Stool, folded UV printed gold mirror Dibond and precast concrete, 105 x 70 x 20 cm and 35 x 70 x 20 cm, 2014.